Please check reCaptcha to continue. What I, as a patient, would want to know about veins? An explanation that is simple and clear. I am a Consultant Vascular Surgeon with 15 years’ experience. I aim to provide information about what varicose veins are and the varieties of treatments that I can offer you. I would like to treat patients as I like myself to be treated – with techniques that are proven to be effective. Blood flow is a two-way traffic. Blood is pumped from the heart and is carried to various parts of the body by arteries. This blood is then returned to the heart by veins. Blood from the legs is returned to the heart by a two-lane system of veins; the deep system and the superficial system. The deep system of veins are located between the muscles of the legs and return the majority of blood from the legs to the heart. The superficial system of veins are present just under the skin. It is the visible bulging of these veins that are called varicose veins. Normally, the muscles in the leg act like a pump, squeezing the blood within the veins. The blood can move up towards the heart, or down towards the feet. One-way valves within these veins only allow the flow of blood up towards the heart. 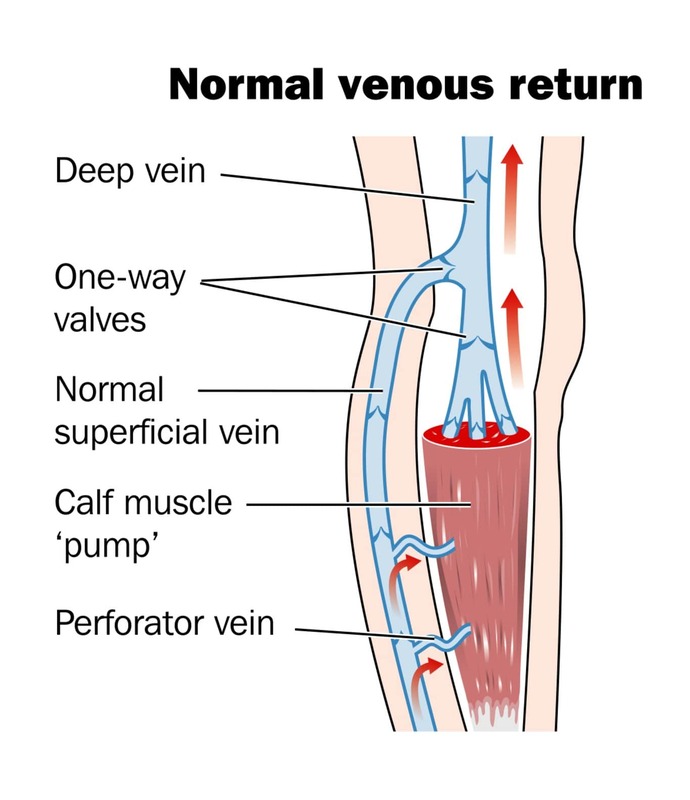 In superficial veins, when one or more valves are not working properly, blood then tends to flow in the wrong direction, down towards the legs. This leads to bulging of the segment of vein that is controlled by the deformed valves. These bulges are called varicose veins and can be seen below the skin. 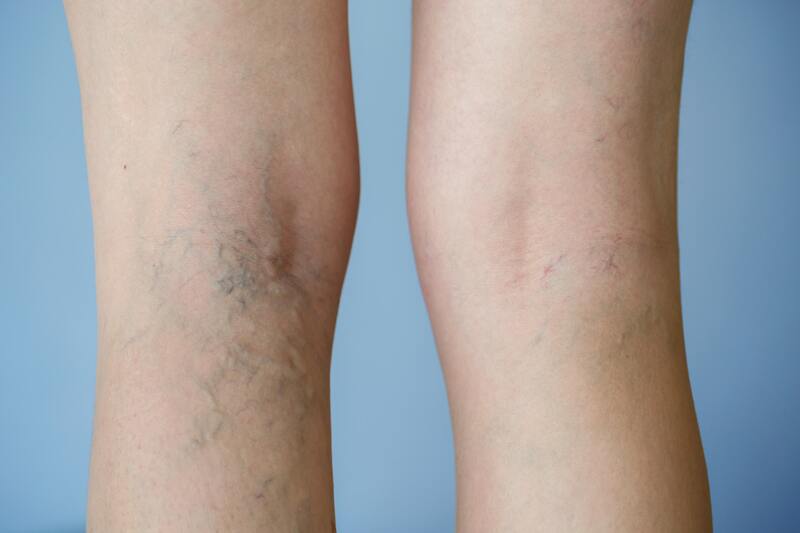 Cosmesis - Most varicose veins are cosmetically unacceptable but may not cause symptoms. By 80 years of age, 80% of people have prominent veins in the leg. Ache / pain - Over a period of time varicose veins tend to get worse and can cause aching especially after standing for long periods of time. The ache can continue even when resting. Varicose vein can be the cause of heaviness and tiredness of legs and swelling around the ankle. Support tights help some people, but this is not a practical long-term solution. Thrombophlebitis – Clots tend to form within the bulging veins causing a very painful, red and tender lump around the varicose vein. If this occurs once, then there is high chance that this may occur again and again. 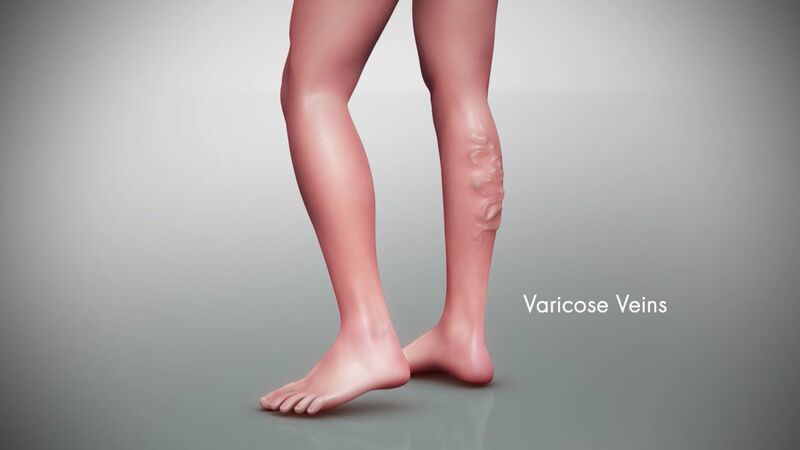 Skin changes – In some patients who have had varicose veins for years, a rash (varicose eczema) can appear on the lower leg. Ulcers – Untreated varicose veins can cause venous ulcers. Varicose ulcers are managed initially by compression hosiery or bandaging. This is a long and uncomfortable process. Unless the underlying causes, i.e. the varicose veins, are treated the ulcers will return. Thread veins, also called as spider veins, are the very thin-walled veins that resemble a spider web or tree branch in shape. These lie very close to the surface of the skin. Spider veins are commonly found on the legs and face, and can be red or blue in colour. Simple clinical examination of the veins would give only a rough idea of the extent of varicose veins. This examination alone does not give information on where the faulty valves. This is an ultrasound scan in which first a clear gel is applied and then an ultrasound probe is used to examine the veins that are deep seated and not visible on clinical examination. This scan will give all the information needed about both the superficial and deep venous systems. It will tell the direction of blood flow in each segment of vein, the size of the vein, and help plan the best treatment that could be offered to you. It is a road map of the veins in your legs. I will be able to advise, based on the clinical examination and ultrasound scan, a treatment that is tailored specifically for you. They are non-visible veins as they are deep seated and therefore best assessed by an ultrasound scan. The “Long Saphenous Vein” is located in the inner aspect of the leg and thigh and, the “Short Saphenous Vein” is situated in the back of the leg. 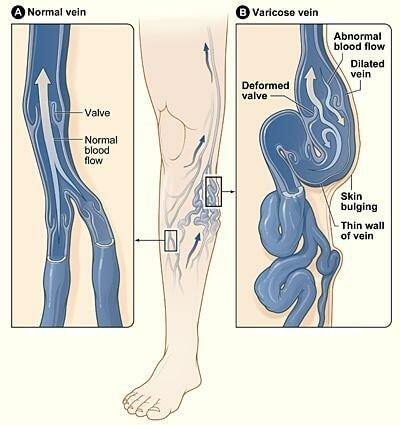 Problems can occur with valves and can be in either, or both of these deep seated veins. These are the obvious veins bulging underneath the skin that one could see. Foam sclerotherapy – This involves injecting a chemical into the vein. This chemical damages the lining of the varicose vein, making the vein collapse. This results in the disappearance of the varicose vein. 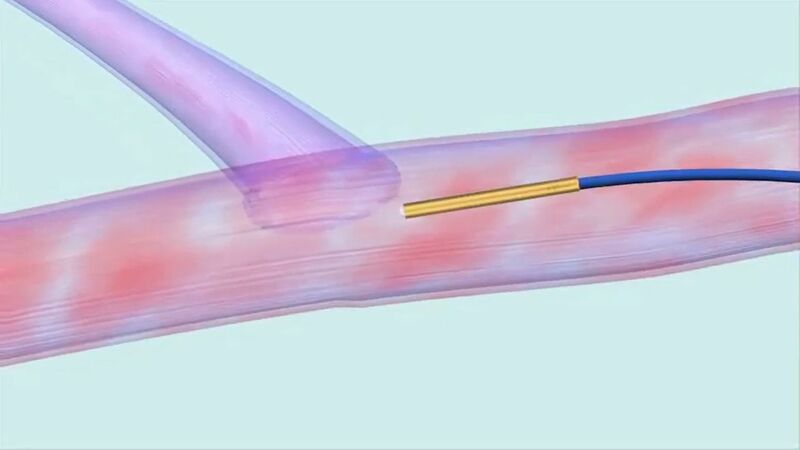 The success of this technique depends on placing the needle accurately in the vein and this is accomplished by using the ultrasound to guide the tip of the needle into the vein. Avulsions – This involves making tiny incisions, about 2 mm long, over the vein and removing them. The leg will be bandaged, or compression hosiery applied, following the procedure. The duration of compression will be tailored to the procedure performed. How do I decide which is the best treatment for me? CAN I LEAVE THE VARICOSE VEINS ALONE? WHEN CAN I RESUME NORMAL ACTIVITIES FOLLOWING TREATMENT? I am a Consultant Vascular Surgeon with 15 years’ experience. 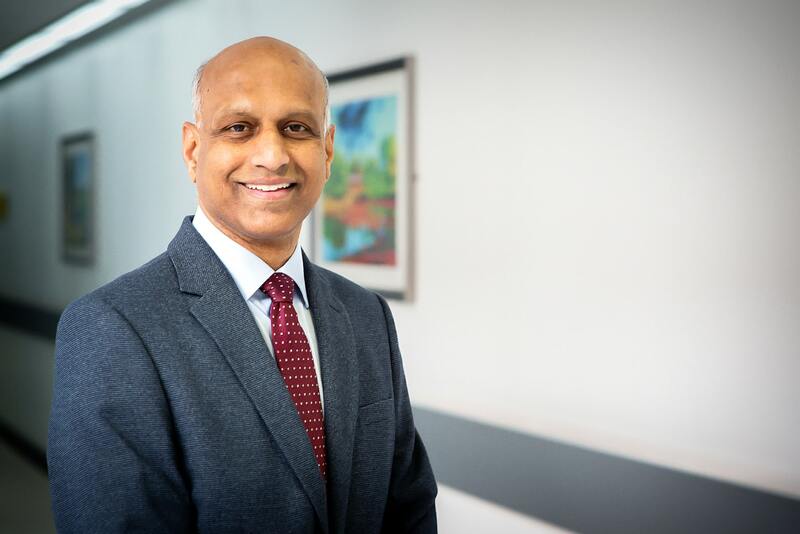 I introduced the one-stop assessment clinic for varicose veins and the minimally-invasive, local anaesthetic management of varicose veins, to the wider population of the South of River Mersey, over 12 years ago. I routinely offer a one-session treatment for even complicated varicose veins. 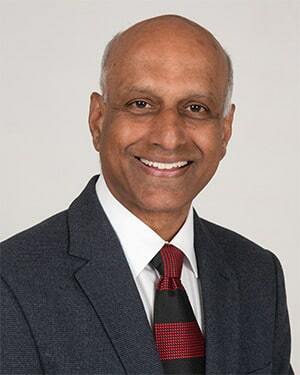 I served as the Clinical Director for Vascular Surgery for the South Mersey Arterial Centre and the Clinical Lead for Vascular Surgery on the Wirral. I have introduced numerous advances in the field of Vascular Access surgery (surgery for patients with severe kidney failure requiring dialysis) and I am the Lead for this service. I have presented nationally and internationally in this field. There are a range of financing options available, to help you get the treatment you would like to have. Please discuss, so that you get an option that will suit your unique needs.